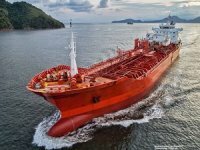 The current global economic downturn looks to have significantly hit tanker values and their sale prices in just a matter of months. ?The reported sale of a newbuilding VLCC for $110 million, followed by a sale of a modern aframax at $42.5 million and the latest reported sale of a single hull VLCC for $14 million, all point to the staggering drop in value of 30% to 70% for these particular vessel types from just five months ago,? said McQuilling Services. 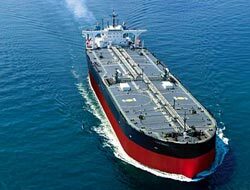 On February 5, Japanese ship operator Nissen Kaiun Kaisha's attempts to sell-off the only operational oil tanker in its fleet had already exposed how badly the downturn has hit ship values. Nissen Kaiun was looking for buyers for its five-year old Japanese-built 106,000 dwt aframax Trident Hope. Indications from one broker then stated that Trident Hope was ?struggling to see offers over $40 million.? 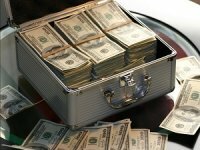 According to Galbraith, this is close to half of its estimated value of $70 million just two months prior. Gibson indicated that initial offers for Trident Hope were in the mid-$30 million, and only second offers elicited the $40 million bid, reports said. 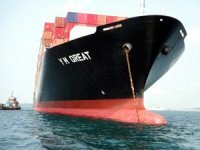 "Due to the various present-day market effects, ship prices may be more accurately defined by the circumstances surrounding individual sales, rather than a traditional market value assessment"Many players are now apparently concerned the Trident Hope sale will set ?a worrying new benchmark.? 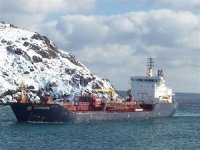 ?It is hardly surprising that many people are struggling to comprehend how a double hull tanker can change in value by so much over such a very short space of time,? said Galbraith in a recent report. That Kawasaki Kisen Kaisha, Ltd. ("K" Line) is paying $110 million for a VLCC which is still being built at present at the Imabari Shipbuilding yard in Saijo, Japan. The $110 million price tag ?is a drastic drop from just a few months ago-values,? brokers tell , ?considering it is from a Japanese yard.? According to McQuilling, although these sales were concluded by Japanese sellers and may not be 'true' representatives of the market, they still remain the latest done sales in these sectors. 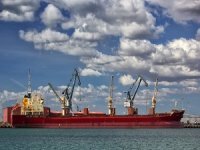 ?Therefore, even if these levels may not be immediately repeated, as some sellers may consider them to be too low, they certainly are likely to have a negative impact on vessel values,? said the marine industry consultants. McQuilling added that ?due to the various present-day market effects, ship prices may be more accurately defined by the circumstances surrounding individual sales, rather than a traditional market value assessment.? 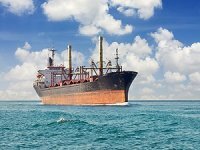 One high profile example of how ship values have dipped drastically, or how sell-offs could have a 'negative impact' on vessel values as stated by McQuilling, would be Titan Petrochemicals Group Ltd's sale of five of its VLCCs at a loss. The Hong Kong-listed tanker owner and operator is in fact slated to make even more losses through impending sales of the remaining tankers in its fleet, as announced in a recent advisory to its investors.